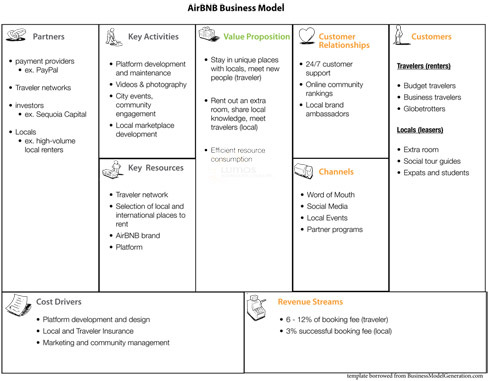 Back in the summer of 2010, in search of a catchy name for a blog series about business models, ‘Business Model Breakdown’ (BMB) came to life. After nearly three years, it is our most visited set of posts and the only series being actively rolled out on the blog. In that light, we look back to the beginning of BMB and break down the best of the bunch. And that’s the break down of the BMB series. Of course none of it would have happened had Alex Osterwalder et al not brought the concept to life. What is your favorite BMB post? 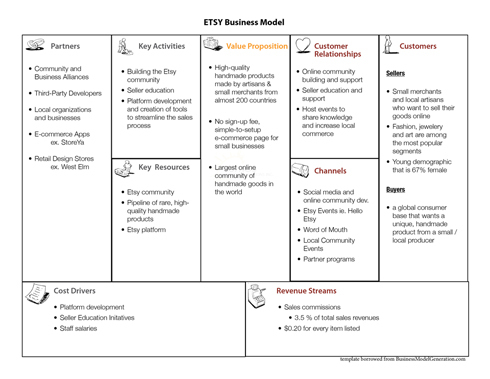 Business Model Breakdown is back and this time we’re going to get a little crafty as we examine the Etsy business model. The once tiny website that helped small-scale artisans and merchants sell their creations online had a sizzling hot 2012 and now grows at rates equal to E-Bay. That’s why we’re going to break out the canvas and start putting together the pieces behind the irresistible Etsy. It’s a phrase that encapsulates what Etsy is all about. But what happens when you put together thousands and thousands of small & beautiful things together on one site? 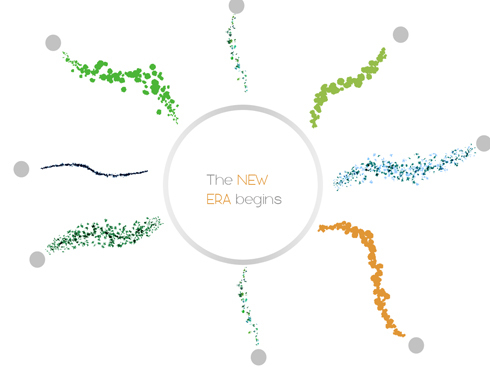 An (artsy) explosion of e-commerce. In 2012, Etsy sales were up 70%, new buyers increased 80% and there were 10M new members. Jewelry was the highest-grossing category, while furniture was the fastest growing. With almost 800,000 sellers and about 22 million members from about 200 countries, this enterprise is showing that handmade & homegrown is much more than just a niche category. The question is, how have they done it? If you were to ask the average seller what brought them to Etsy as opposed to alternative options (ie. Ebay, independent stores, etc. ), the majority would tell you it is because of the community. 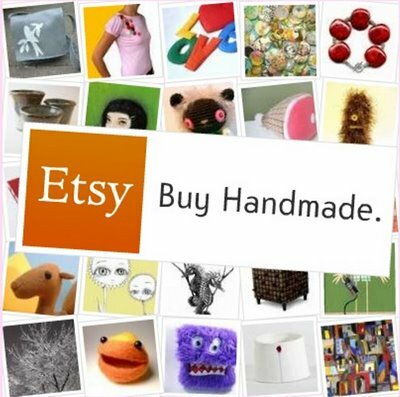 People who list their products on Etsy want to do business in a friendly and sustainable way. In the same way that many people yearn for the olden days of walking down the street, popping into local shops and seeing friends and neighbors, Etsy’s sellers want to create an authentic and highly personalized feel to their online stores. It is that sense of personal relatability and trust between not just buyers and sellers, but also sellers and sellers, that has allowed Etsy to build one of the most cohesive communities on the web. There is so much love in the Etsy community, in fact, that a whole new network (We Love Etsy) was spawned to share the feeling. The company has gone far and beyond just providing its members with social tools, such as forums and blogs, to swap tips. They have built their community into their business model and given its members the power to influence and engage other members. From simple social media programs like the Guest Pinner program, to the merchant-driven Etsy Success Symposium, an annual gathering held ever year to help Etsy sellers increase their sales and reach. A quick look at the Etsy Teams page and you would see how Etsy’s community roles. But none of these community-building initiatives would matter if a large number of people in the Etsy community didn’t have the ability to drive significant sales. That’s why Etsy has put a lot of emphasis on education and the development of tools to streamline the sales process for its sellers. With materials such as the Etsy Seller’s Handbook, Etsy Success Newsletter and Etsy Online Labs, the company is ensuring that anyone with a handmade product to sell can learn how to / have the tools to drive sales using Etsy. With over 800,000 sellers on the platform, they cannot simply create more educational material and hire loads of people to educate the entire community, they must also rely on the help of their top sellers to bring new sellers under their wing. Imagine trying to do that without the backing of a fantastic, supportive community! And with the increasing number of sellers comes a greater and greater incentive to find new ways to reach buyers. Etsy had started to notice a growing trend towards more and more mobile traffic to it’s site (~25%), especially around holiday times (33%), so early this year they purchased the mobile photo collage app MIXEL, which bears some resemblance to Pinterest. After we talked a little last week about the numbers behind transactions being driven through sites like Pinterest, you can see how this could be a big benefit for the Etsy community going forward. View larger image here or download the full PDF. Etsy exists to help small businesses grow in this big, globalized world – their mission is to ‘enable folks to making a living making things, and reconnect makers with buyers.’ The fact that they generated $895.1 million in sales last year wouldn’t matter much if it weren’t part of a bigger story. Etsy is about impact, and as we continue to drive deeper into 2013 we will see that more and more businesses are becoming impact-driven because that’s where the real energy is. Etsy’s commitment to the world of small & beautiful can be seen in every aspect of their organization, from their creative hiring initiatives to their listing as a certified B Corp. While not flawless by any means, it is one of the best examples of a highly visible company doing business to a different drumbeat. And what a business it is, which is why this business model is so worth studying. Overall, the shift to a more collaborative and creative economy can be seen in examples like Etsy. The next generation of companies is building their business model to generate impact for their respective communities without sacrificing profitability, and making it fun in the process. 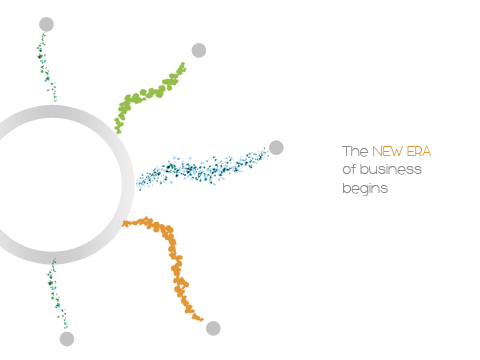 As the movement grows and more and more entities make the shift, the effects will be exponential – the new era of business is only just beginning. About a year ago, My Crowdfunding Study touched down on the beaches of Big, Bad Brazil. While the focus of the trip was clearly crowdfunding in South America, Brazil was full of many other surprises, including the emergence of a new generation of social enterprises. 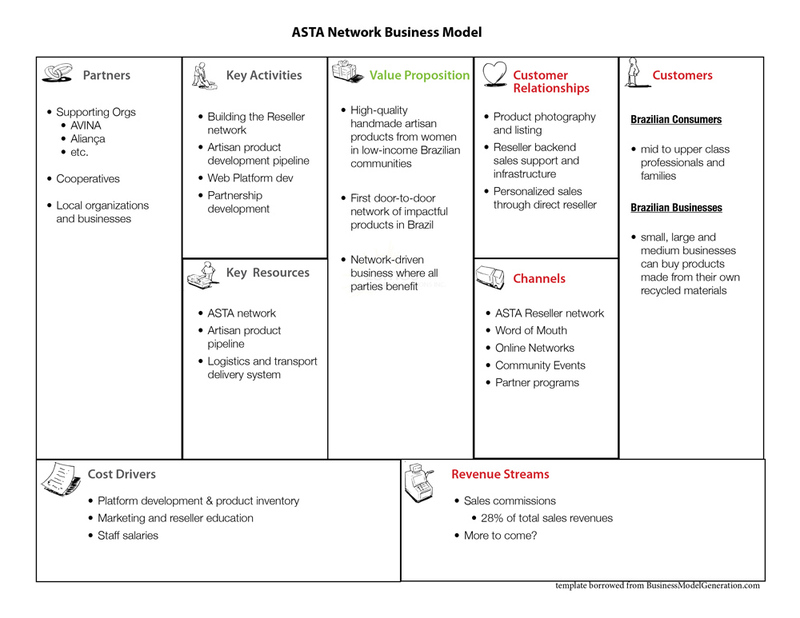 While we have written a little bit about one such enterprise, Solidarium, today we are going to go a step further and break down the impact-driven business model of another inspiring Brazilian social enterprise, ASTA Network. In today’s world, impact is becoming the new currency for entrepreneurs. Sure there are still many that dream of becoming the next Mark Zuckerberg, going from zero to a billion in a few years, but there is another emerging crop whose focus is to change the course of humanity. In Brazil, in particular, the need for impact-driven entrepreneurs is especially high, as social problems touch almost every level of the Brazilian society. While many people around the world have put Brazil on their radar because of its rapid rise in (GDP) growth, the real stories worth telling are happening on the ground thanks to a new generation entrepreneurs. One such story revolves around Alice Freitas and the creation of ASTA Networks, the first door-to-door network of products made by Brazilians from low-income communities. What makes stories such as ASTA so exciting is that they are leading the charge towards a new era of business by creating enterprises that generate mass-scale social returns while still striving for profitability. The lines are starting to blur between social enterprises and businesses thanks to the development of impact-driven business models. So let’s dive into ASTA and look at how a simple marketplace created a decade ago has blossomed into a full-scale network across Brazil. It started back in 2002 when the Founder Alice was 22 years of age. Her friend had returned from a trip to New Zealand and was encouraging her to go travelling with her. Alice felt restless and wanted to go, but needed a purpose for the trip – to make it feasible – so she brainstormed ideas for a social-focused project. With a little creativity and ‘cara de pão’ persistence, the ReAlice project was launched in 2003. The portal was designed to allow the travelers to share the inspiring social projects they were seeing with other Brazilians. They travelled for a year and half through India, Thailand and Bangladesh and posted each story on the portal. Upon returning, they were sick of travelling and wanted to do something more local. At that point, Alice encountered a cooperative of 30 women in Campo Grande and began to start selling their products in 2005. It was at that moment that they started to see the problem – women were not able to sell their products. The idea got its first formal backing from Fundação Avina, a leadership organization dedicated to social entrepreneurs, and the ASTA Network was officially born in 2007. What drove the idea was the notion that the network wouldn’t be about selling things from outside-in, but from inside-out. Starting in 2008, ASTA had only seven resellers. But an initial surge from an ASTA Network member had every person calling five of their friends or family to get them involved in the idea, and suddenly ASTA was alive. When the first bag of products was sent out to be sold, it came back empty within a week. In 2008, 7,000 Reais worth of sales were completed, while by 2011, ASTA generated 625,000 Reais (approximately $312,500 USD) in sales and had more than 200 resellers. As of this year, it was estimated that more than 50 cooperative groups were supported and almost 2,500 people impacted directly. The question is, how does ASTA work and what’s the impact-driven business model? The beauty of ASTA products is that you know exactly where each product is made and where the money goes. The business model behind the company is quite simple, but because they are building a large network of artisans who produce high-quality, in-demand products, there is a lot of room for expansion and innovation. As the company continues to grow its network and presence, a whole new array of opportunities will open up. The real beauty is that a growing business model doesn’t just translate into increased bottom-line profitability, but increased impact. ASTA has developed over the course of a decade thanks to the persistent and unrelenting efforts of Alice and her team, along with the support from organizations such as Avina and Aliança. In fact, during a conference last year in Brazil, Alice spoke of the paralleled development between ASTA and Solidarium, which were both incubated in some way through Aliança Empreendedora, an incredible organization based in Brazil’s South that focuses on sparking entrepreneurship in low-income communities. Overall, the advent of the impact-driven business model is helping social enterprises reach self-sustainability and profitability without watering down their reach. Brazil, in particular, is a hotspot for a new breed of social entrepreneurs who are using impact, rather than Reais, as their metric for success. While it’s still early days, the sunny, beach-lined coasts of Brazil are a breeding ground for much more than soccer stars and bikini-clad women. Nevermind the World Cup or the Olympics, the real games have already begun. The growth-consumption paradox is approaching its peak – the reality that we cannot grow infinitely in a finite world is setting in. While economists and politicians continue looking for opportunities to squeeze blood out of a stone, groups of consumers and businesses are beginning to experiment with new models of consumption in order to reinvent our economy. In this edition of Business Model Breakdown, we are going to analyze collaborative consumption and look at how business model innovation is helping to redefine the way we use resources. Access replacing ownership. It’s a simple idea that undermines one model of economics (crony capitalism) and underpins another (the sharing economy). Rather than individually aspiring to own property and accumulate assets, what would happen if we shifted our focus to sharing resources and prioritizing access over ownership? It is a question that has inspired the creation of an entirely new economic model, one known as collaborative consumption. Collaborative consumption is a new economic model that revolves around sharing, where resource consumption is done collectively rather than individually, thereby maximizing efficiency. Imagine a car that sits dormant 90% of the time, or a house that is half empty. Thanks to technology, it is now possible to find people who will pay to use that unused resource for a fraction of time. We stumbled upon the collaborative-consumption economy a few years ago while planning a business trip. In the midst of a search for accommodation in Seattle, it became clear that staying for a week in a hotel solo would be both extremely boring and excessively expensive. It was at that moment that Joel came across AirBNB, a website that allows travelers to stay in the homes of locals. After a little research and a few gut checks, he booked a room (at half the price of a hotel) and made the trip to Seattle – travelling has never been the same since. AirBNB started 2008 when founders Brian Chesky and Joe Gebbia rented out a room in their San Francisco apartment to a couple of out-of-town conference attendees who were unable to book a hotel. It dawned on them they that they might be on to something – as it turns out, they were. The company raised $117 million dollars last year, and recently announced in June that they had reached the 10 million nights booked mark. AirBNB, representative of room sharing, is perhaps the most notorious example of collaborative consumption. Car sharing, another popular category, is well known thanks to the likes of ZipCar, Car2Go and numerous other car-sharing platforms. Beyond accommodation and car sharing, a variety of new businesses are being launched in relation to collaborative consumption everyday, as entrepreneurs experiment with new models of access and ownership. 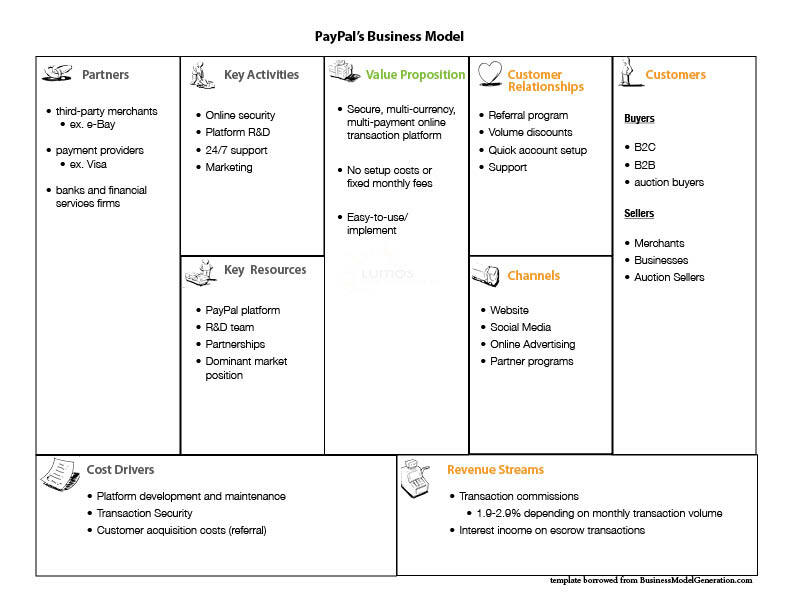 The question is, how does the business model break down? In it’s first iteration, the key to the business model is to drive the volume and build the brand. While platforms will move aggressively to get customers in the early stages, they will only be able to retain them through attention to detail and first-rate customer service. As an example, Joel had his computer stolen during a house break-in while on a business trip in Toronto through AirBNB. After reporting the incident to the company, they were extremely responsive and reimbursed him for the full market value of the computer with little fuss. This type of event illustrates one of the potential challenges a business like AirBNB faces, but also shows how a commitment to customer service is the key to long-term customer retention and consequently profitability. While volume remains essential to be sustainable, a trustworthy brand is the key to overall success in a hyper-connected world. While collaborative consumption is generating a lot of excitement in the early stages, the overall market goes much deeper and is part of a broader trend towards a more social and sharing-based economy. By thinking socially and focusing on peer-to-peer (P2P) collaboration, a whole new realm of possibilities emerges. Through business model innovation, the opportunity to exists to take collaborative consumption to a whole new level. While it is fun to book a room through AirBNB, or rent a car with your friends through a group car-sharing service, it’s only a fraction of the overall experience. If, for example, you go to a travel agent to book a vacation, they will typically present you with offers that combines various components to form a complete experience. In the same way, collaborative-consumption platforms need to find opportunities to work with other partners who offer complementary services. As an example, Daimler, the owner of Car2Go, entered into a ‘cooperation agreement’ with German-based Intelligent Apps to further the companies vision of a ‘mobility concept.’ In other words, what they want to do is create an integrated platform for their customers to be able to find the best way of transportation in the moment they need it, whether that is via car sharing, taxi or public transportation. If the goal is to replace access with ownership, then the focus becomes the experience rather than the asset itself. Giving people the ability to access a car or house is the first step, but much more can be offered. The benefits many people seek in these scenarios are social, and in certain cases cultural. To an extent, sites like AirBNB and Couchsurfing offer a form of social travel, but only at a basic level. 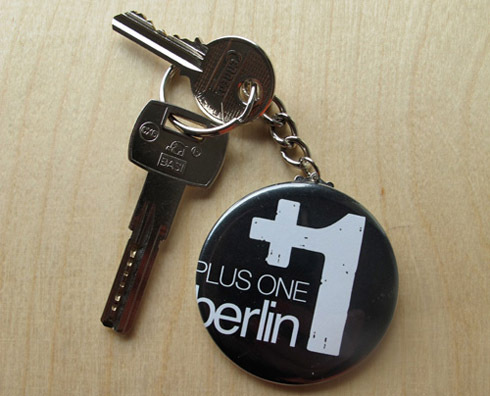 As an example, there is a new hotel in Berlin, called Plus One. Beyond just renting a room, hotel guests choose from one of thirty knowledgeable and enthusiastic locals to guide them around the city. Plus One focuses on giving guests the social experience of meeting locals and potentially making friends in the city; if the reviews are any indication, the new concept is being well received. The nightly rate is 120 Euros and includes a night in a ‘stylish, ecological apartment’ and one tour per stay. With so many people travelling on a platform, patterns start to emerge and the link between common interests and motivations becomes apparent. If 5,000 people travel to a certain city to do the same thing, there is a good chance that at a fair number of them share similar travel and cultural interests; therefore, the possibility exists to create a community with people who share ‘collaborative’ ideals. 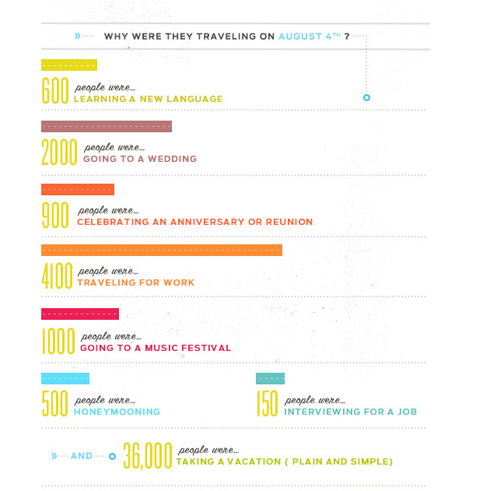 As an example, AirBNB had their biggest night in history on August 4th, 2012, when 60,000 peopl used the site to travel. They mined some data and came up with numbers to see both what people were doing when they travelled and where they were going. As you can see from the image below, there are several key themes that emerged, such as the fact that 1,000 people went to a music festival. The next step would be to find a way to create communities out of these users with common interests and experiment with new methods of collaborative consumption. In addition to innovation of the business model, companies need to ensure that they tailor their offering to their respective local economies. Even global brands (ie. 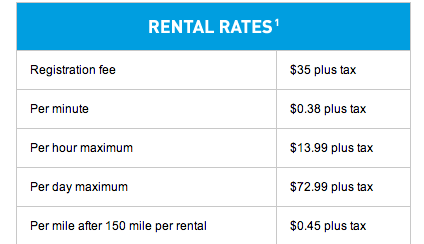 AirBNB, Couchsurfing, Car2Go, etc.) are implementing localized strategies to grow internationally; the most successful businesses in this emerging marketplace will be those who incorporate local intelligence to create unmatched social and cultural experiences. In a recent trip through Spain, the emergence of the collaborative-consumption economy was evident, as services like AirBNB are growing rapidly while a host of new services have recently come to market (ie. SocialCar). What’s interesting is that while the overall trends are the same, the markets are vastly different – what works in Spain will not necessarily work in Canada or Brazil for example. Cultural factors play a huge role in how the markets develop; therefore, entrepreneurs need to be wary about trying to simply copycat an idea from a foreign market. Overall, collaborative consumption is much more than just a trendy way of saying sharing. It’s a fundamental shift in the models we have structured our economy around that will inevitably change the way we view and consume resources. While the market is still in its infancy, and many challenges remain ahead, the opportunity to develop new business models and build on existing services is huge. Blue oceans ahead. Which markets do you think the #collaborativeconsumption business model has the most potential in? Everybody is talking about the crowd these days. Crowdfunding is grabbing headlines in every corner of the world as the movement is transcending borders, cultures and even political barriers. That’s why in this edition of Business Model Breakdown, we will break down the opportunities in the new crowdfunding ecosystem and look at potential business models that are emerging in the process. Back in 2009, following the near collapse of credit markets in 2008, a site called Kickstarter launched a platform online with the hopes of igniting what was then a little-known process called crowdfunding. Through this process of crowdfunding, the idea was that people would donate money to their favorite creative projects in exchange for a unique reward – by getting a lot of people to each contribute a small amount of money, off-the-radar projects would get the funding they needed. This concept, which in 2009 was little more than a pipe dream, has suddenly become a catalyst in redefining how creative projects and new ventures are funded. The proof lies in the numbers. Kickstarter raised almost $100 million dollars on its platform in 2011 and at current projections is going to raise over $150 million in 2012. The company has become the model for hundreds of new crowdfunding sites globally, and suddenly crowdfunding is becoming a vibrant ecosystem in and of itself. And it’s not only creative projects dreamed up by offbeat artists that are getting funded – just take a look at what are, in my opinion, the three landmark projects to get funded in crowdfunding’s early history. Belo Monte – Announcement of a War: a landmark project out of Brazil, funded on Brazil’s Catarse crowdfunding platform, the creators of this project reached the projected goal (which was lofty at the time) of 114,000 Reias (app. 70,000 USD) in two weeks. The money is being used to put the following film into production. Pebble – over $10 mllion dollars was raised on the Kickstarter platform for the company’s innovative E-Paper watch. The company was unable to raise the necessary funds from venture capitalists, so the founders turned to Kickstarter to meet their funding needs. #CrowdfundPaRato – the latest campaign to captivate the world, #CrowdfundPaRato was launched by Spain’s infamous #15M movement to bring former Bankia boss to trial for his role in the Spanish banking crisis. The campaign hit their goal of 15.042 Euros in just over 24 hours – with 39 days to go, this is a campaign worth following. 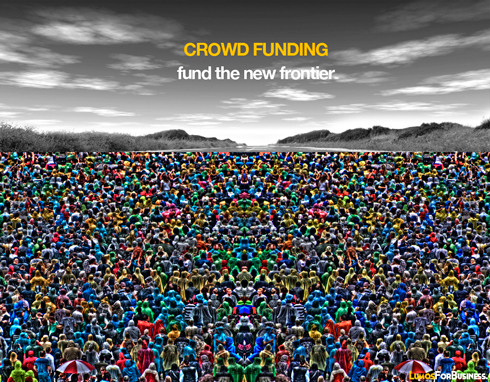 As crowdfunding continues to take off, a new era of crowd-based financing is set to begin with the inception of crowdinvesting (see blog post Finance 2.0 – Wall Street Meets the Web). Rather than soliciting donations, entrepreneurs posting projects on crowdinvesting platforms will allow investors to buy equity in the company. At the moment, the concept is only legal in the UK and the US (because of securities regulations), but we believe that this is the beginning of a domino-like effect that will inevitably make crowdinvesting legal throughout the world. So how do these platforms make money? Whether it is a crowdfunding or crowdinvesting platform, both have commission-based business models where they take a percentage of the profits (typically 4 – 7.5%) from every successfully-funded campaign on their platform. Crowdinvesting platforms have the added advantage of being able to take an equity-stake in successfully-funded businesses if they so choose, but in general the whole business model for crowd-based investment platforms is driven by transaction volume. The more projects that are launched and successfully funded on these platforms, the more money they make. The whole crowdfunding industry, which is in rapid-growth mode at the current moment, is entering a phase of consolidation. The weaker platforms who are unable to drive the necessary volume through their platforms are going out of business, while the stronger platforms (ex. Kickstarter, IndieGoGo) are expanding their market presence and growing their project base. For those platforms that are unable to get the required volume to be self-sustaining, they will either need to change their business model or exit the market. Developing a marketplace (create a store for crowdfunded products), offering ancillary services (ie. video creation) and campaign advisory are but a few of the ways the business model could be augmented or adapted. Crowdfunding is more than just an industry for the major platforms, however. An ecosystem is rapidly beginning to evolve around the platforms in the same way that the financial services industry (*cough) built itself around the banks. Advisory groups, legal services, media production and other types of peripheral services are sprouting up as the crowdfunding/investing movement takes hold. Unlike the banking industry, however, every deal done via the crowdfunding/investment platforms is public, for real. Beyond the peripheral services, there are also a number of new ways that crowdfunding is being applied to old processes. Rather than simply being used to fund specific projects or businesses, crowdfunding is also emerging as a tool to fund community-based projects in areas such as agriculture, housing, environmental initiatives, etc. In this way, crowdfunding is becoming a tool for the commons, one that is redefining how projects at all levels of society are initiated. 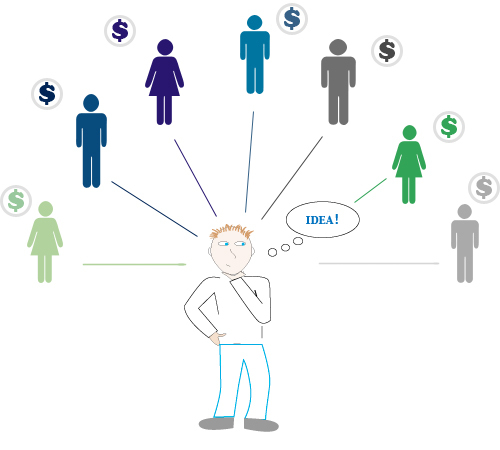 Overall, crowdfunding is a dynamic, rapidly-changing industry that is only in its inception. It is a key catalyst in the new financial ecosystem that is evolving, one that is driving the development of a whole new economy. Join the crowd. Android, Google’s open-source mobile OS (operating system), has taken the mobile industry by storm. In just over a year, Android has gone from a 2% market share in the US, to 28%, and is on the verge of overtaking RIM and Apple as the most popular smartphone platform. While it’s no secret that Google’s decision to open-source the Android platform has been the catalyst for this high-speed growth, what’s less obvious is the business model behind Android. 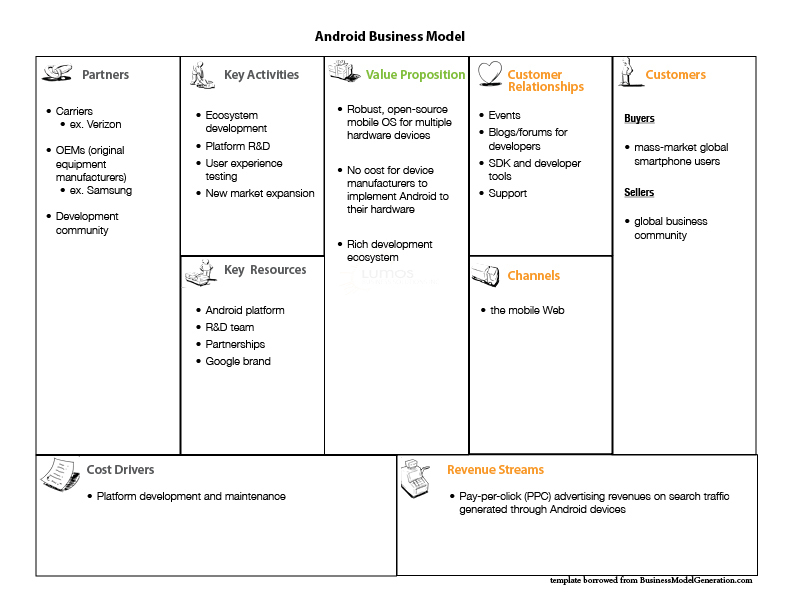 In this version of Business Model Breakdown, we explore Android’s business model and how Google plans to leverage the platform to position itself for the global smartphone revolution. On Novemeber 5, 2007, Google announced that it was entering the mobile smartphone industry with the creation of Android OS, an open-source mobile platform. At the time, reactions were mixed and skepticism was high – breaking into the smartphone industry was seen by some as a PR move with little chance of success. Now two years later, major competitors including RIM, Apple, and especially Nokia, are looking over their shoulder as Android continues to cut into their market share. To make Android the overnight success (by smartphone industry standards) that it is, Google partnered with hardware device manufacturers, including Samsung, HTC, Motorola and LG, to create smartphones that run Android OS. Google’s partners create the hardware, and Google delivers the software. By opening up the Android platform, Google laid the groundwork for developers to create the apps and functionality that make it a robust OS. As Android prepares to take over Nokia and Apple for smartphone supremacy in the next few years, many are wondering where Google makes their money – after all, someone has to be paying the bills for those coders to develop new versions of the platform every few months. Other than the obvious revenue sources, like apps, Google’s business model for Android is part of a long-term strategy to make Google a player in the bold new digital world that will be shaped by mobile devices. Google’s move into mobile was spurred by the realization that the mobile experience will redefine everything, including search, and that to maintain a long-term competitive advantage in the search advertising space, their bread and butter, they needed to be a mobile player. A recent blog post by Google CEO Eric Schmidt titled ‘Preparing for the Big Mobile Revolution’, shows how focused the company is on developing their mobile capabilities to help proliferate Android devices around the world. And despite the Android strategy being early stage, there’s already strong evidence that it’s working. According to eWeek, Google generated $130 million from mobile ads on Android devices in 2010, or $5.90 average revenue per user (ARPU). By 2012, that number is expected to be ten times what it is today, or $1.30 billion, with an ARPU of $9.85. Going forward, the company hopes to target 1 billion users around the planet with the Android platform, a lofty expectation, but one that could be realized given that they currently activate about 300,000 handsets per day. Overall, it appears that Google has mobilized its resources and shifted its strategy to take advantage of the mobile revolution. With the rapid global uptake of smartphones, the continued mobile ecosystem development, and the high level of innovation, Google is hoping to emerge as the leader of the pack in the global smartphone industry. Doing so would help solidify the company’s business model and ensure that they remain as big a player in the search ad space after the mobile revolution as they were before. If you have done any online shopping over the years, then there is a good chance that you have used PayPal to make a purchase or two. While many technology companies built in the late ‘90s were wiped out in the subsequent dot-com stock market crash, PayPal pulled through. Today we will look at the business model behind the e-payment behemoth, and analyze how it leveraged the model to pioneer the world of online transactions. In 1999, Peter Thiel and Max Levchin created a company called Confinity, which launched PayPal that same year as an application to transfer money electronically between mobile devices. When it became clear that the idea didn’t have as much merit as the duo thought, they began looking at different markets and set their sites on the growing Internet. More specifically, they focused their attention on a fledgling e-Bay, which at the time was only accepting payments in check and money order via US Mail. It was the opportunity they were looking for. While they weren’t the only company to zone in on the opportunity, they were the first to exploit it. Other companies struggled to implement e-currencies, while PayPal took advantage of existing technologies and infrastructure to build a low-tech payment system. The company’s medium for transfer was e-mail, a technology that nearly everyone embraced at that point in time; the funds for the transactions were transferred from the users’ credit card or bank account, which were issued by American financial institutions. To reach the masses, the founders knew that they had to find a way to implement a brokerage business model. In a brokerage business model like PayPal, it is the classic chicken-and-the-egg scenario; which comes first, the chicken or the egg? In order for the business model to be successful, there needs to be a significant user base on both sides of the transaction. With PayPal, buyers were excited to use the service because it made it much easier to buy something on e-Bay. Once buyers were on board, merchants and sellers began accepting PayPal because of the increased transaction volumes and the new payment options. With substantial user adoption on both sides of the transaction platform, PayPal began to prove the viability of its business model. While the company had initial success scaling its user base, the real rise of PayPal didn’t begin until the industrious Elon Musk stepped into the game. In 2000, Musk orchestrated a merger between his company, X.com, and Confinity, and sparked PayPal’s scalability by initiating an aggressive marketing campaign; new sign-up referrals were offered $10 and the user base grew from 12,000 to 2.7 million between January and August 2000. Despite a growing user base, it took the company some time to determine the best way to monetize users. Initially, it planned to exclusively generate revenue by earning interest on funds in users’ PayPal accounts. Before long, however, it realized the drawbacks of this approach and changed the model to a commission structure. Unlike many online e-payment companies who charged merchants setup and fixed account fees, PayPal decided to make account setup free and charge based on a percentage of the transaction. The seller, not the buyer, pays the transaction fee, which ranges from 1.9-2.9% depending on monthly transaction volume. The rapid growth of PayPal continued through 2001. In 2002 the company went public on the Nasdaq exchange, before it was acquired by e-Bay for 1.5 billion in stock that same year. Following the acquisition by e-Bay, PayPal began to grow its user base internationally through the e-Bay platform. After the company successfully penetrated the international market, it began focusing on growing the user base outside of e-Bay. To accomplish this, it increased the PayPal platform’s functionality, beefed-up the sales force and added new options for both buyers and merchants, including a mobile payment system based on text messaging. One of the keys to PayPal’s success has been its ability to keep the platform secure. After some well-publicized incidents in the early years, the company has subsequently devised a unique account verification policy, created the Captcha technology and implemented an optional security key, among other initiatives. The results have been amazing, as PayPal’s fraud rate of 0.41% remains well below the industry average of 1.5% despite being one of the most targeted sites on the web. 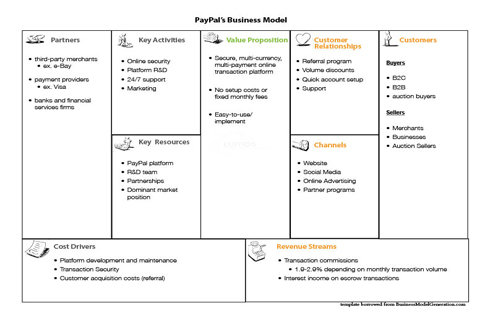 Overall, PayPal’s success in trailblazing the online payment industry is a result of its ability to effectively find and implement a scalable business model. Despite challenges and setbacks, the company’s founders endured and created a simple, innovative e-transaction system that now serves 300 million users. It’s another example of a low-tech solution to large-scale problem, and provides a great model for anyone looking to build a scalable solution for a global marketplace. With the peer-to-peer (P2P) lending industry gaining traction worldwide, Community Lend is the first company to break ground in Canada. After successfully navigating the regulatory loopholes, the company is quietly moving into new markets across Canada as they hope to bring back the spirit of community-based lending by leveraging the power of the Internet. Today we will take a look at their business model and gain an understanding of how P2P platforms are changing the game in the lending industry. For the past number of decades, if you wanted to borrow money for a trip, or a new car, you would have a limited number of options. The most likely scenario is that you would either put it on your credit card, or take it out on a line of credit. Either way, you would go through the bank and pay interest at a rate that was only as competitive as it would be with another bank. With more and more people becoming increasingly frustrated with their limited options, the P2P lending industry came to life. In 2005, UK-based Zopa introduced the first online P2P lending platform and kick started what is now estimated to be more than a $1 billion dollar market. Between 2005 and 2009, the industry experienced a CAGR (cumulative annualized growth rate) of 80.9%, which is expected to increase exponentially as the industry grows to a projected $100 billion dollar market size by 2012. With numbers like this, it’s no wonder the guys behind Community Lend saw an opportunity to make both a difference and a dollar. The concept is simple. Lenders (must be accredited investors) are given the opportunity to invest in loans at interest rates from 6-29% (currently, the average interest rate on Community Lend is 16.06%, a number that is high compared to other sites). Borrowers go onto the website to create a loan request and set the desired interest rate. To be considered, all borrowers are screened based on their credit history and general stability in regards to loan repayment. At the point where both the borrower and the lender agree on terms of the loan, Community Lend processes the loan through their website. Community Lend makes its money by charging a fee to both the borrower and the lender. From the borrower, the company takes the greater of 1 to 2.5% of the loan value, or $75, while from the lender a 1% per annum fee is taken on the outstanding loan balance. Community Lend’s business model relies on scalability in order to make money, as the company only turns a profit when great volumes of loans are put through the system. At this point in time, only $655,000 worth of loans have been accepted, but over time that number should increase exponentially. As a comparison, Lending Club, a US-based P2P lender, was founded in 2007 and by March 2010 had over $95 million dollars in loans funded with over $1 billion dollars in loans demanded (obviously they have a much bigger market). The value to both borrowers and lenders is obvious. For borrowers, it gives them the chance to get a loan at a lower rate than traditional alternatives. For lenders, it creates an investment opportunity with a pre-screened group of individuals, generating relatively stable cash flow with a much higher return rate than other investments. The company launched in Ontario and Quebec, and just recently moved into BC. While they are still in the early-adopter phase, it’s likely that it won’t be long before the P2P concept catches on and reaches broad-scale adoption. Barriers to competition are relatively low, but any company who enters the market will have to go through a stiff regulatory process. As the market matures and the industry landscape shifts, companies like Community Lend have the potential to alter the lending marketplace in a profound way. It’s our guess that it won’t be long before banks start to see their share of loans being eaten up by P2P lenders and start developing strategies to counter the trend. In what is traditionally considered an industry full of dinosaurs, Community Lend is changing the rules of the game by simplifying it. Overall, everybody except the traditional institutions stand to gain as P2P lending makes its way into the Canadian marketplace. After all, it’s nice to turn to the community when you need a little cash for something worthwhile. Earlier this week we talked about The New App Economy that is emerging. The opportunity to develop a red-hot app and cash in is second to none; but like anything else in the business world, there has to be some thought put into the business model behind the application. App developers face a variety of possibilities when trying to select the right business model for their app – today we are going to explore these options and break them down to their simplest components. As the app market grows, so will the sophistication of the consumer buying the app. Whether it is a productivity tool for small business or a new game, consumers will begin to demand more from the experience the app provides them. The added sophistication of the consumer will mean less people are likely to impulsively buy the game of the week and will instead focus on apps that provide lasting, long-term value. What this means to app developers is that over time they will no longer be able to pump out apps hoping to make a quick buck. Weekend-coding wonders will be one-in-a-million longshots, only to be replaced by apps that add long-term value to customer’s lives. Therefore, the apps that make it to smartphone screens will be the ones with the best design and the best business model. 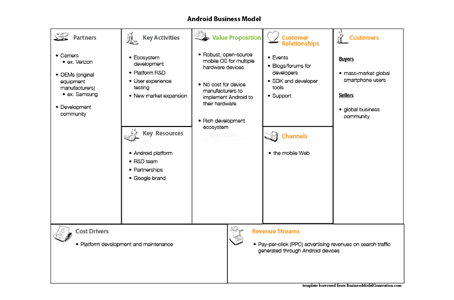 So what types of business models exist for app developers? Pay-to-download – Users pay a one-time fee to download the app. It’s the most common model to monetize an app, as pay-to-download apps account for approximately 60% of the revenues from apps. 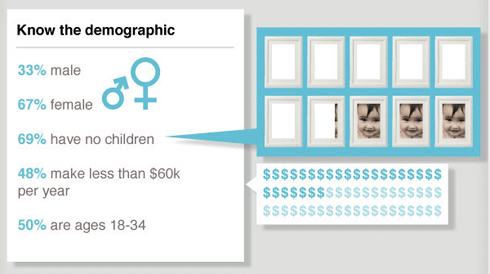 Ad-supported – Advertisers pay to embed their own ads within the app. Today, ad-supported apps generate approximately 12% of the revenues, but that number is expected to grow greatly as the market develops. Virtual goods – Free to download, but loaded with virtual goods that users can pay for. This is a common business model for many games. Chetan Sharma expects the majority of app growth from this app business model. Freemium – for free downloads, users get access to a basic level of app functionality. To get added levels of functionality, they must pay for an upgrade. So which business model works the best? There is no right answer to this question; it depends on the business objectives of the app. Once a company can determine what they want to get out of the app, they can select the optimal business model and build out an effective strategy. The trend certainly indicates that ad-supported and virtual goods apps will be the greatest drivers of growth in the app economy. But these are simply macro trends. To become profitable, app developers will have to select the right business model and execute a rock-solid marketing strategy. Overall, consumers stand to benefit the most as competition in the app marketplace intensifies. The growth in the market will bring in many sophisticated companies and developers, putting the squeeze on one-hit wonders. The development of the online economy has lead to a whole new class of business model called freemium. The freemium business model has spurred the growth of many of today’s hottest web-based companies – Skype, SalesForce, Flickr and a slew of others. Today we will break down the freemium business model and look at the critical success factors to making it work. The term “freemium” was coined by Jarid Lukin and made popular by Fred Wilson in the mid 2000’s. The freemium business model offers users access to basic services for free and then charges for access to premium services. The freemium model was created to sidestep the major problem that many online businesses have, getting users. Giving users no-strings attached access to a basic level of services helps them become acquainted with the benefits that the application can offer them. Many technology companies get into trouble when they overwhelm users with feature-rich applications. Providing free access to a basic level of services makes it simpler to market the product and train new users because the application is stripped down to its simplest components. As users become more familiar with the application through usage, they see the opportunities that the more advanced features can provide them with and are happy to pay for it. Companies can offer users one premium tier (ex. Skype offering users the ability to pay for phone calls) or multiple tiers (ex. Basecamp offering four different premium accounts). Providing users with multiple premium tiers gives them the ability to grow within the application, but there is a fine line between giving options and over-complicating things. The whole key to the freemium model is to attract a large user base. Generally speaking, the highest percentage of conversion from free to paying users that a business could hope to achieve is 10 percent. 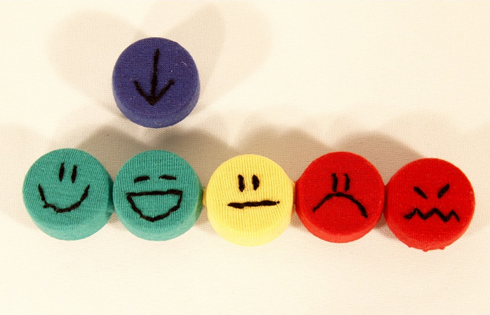 The average, however, generally ranges from 2-5% according to experts. To build a profitable business using the freemium model requires rapid scalability and successful conversion of non-paying to paying users. To ensure that the business model will work, it is necessary to take out an Excel Spreadsheet and crunch some numbers. If for example, you believe that you can convert 5% of your user base from free to paying, then the revenues derived from those paying users would have to be at least 20x the cost of servicing and acquiring a free user. Since users typically pay on a monthly basis, it is essential to map out the projected lifetime, or annual revenues that each paying user will generate. Skype, for example, has over 500 million registered users on the website with 124 million active users per month, but only about 8 million of those users pay for the services. Paying users spend only about $96 per year on average, which is why Skype only turned an accounting profit of only $13.2 million for the first six months of 2010 despite healthy gross margins (51%). Clearly there is big potential for Skype, but when you map out the numbers it becomes apparent how challenging it can be to build a freemium business from the ground up. Since gaining notoriety, the freemium business model has become increasingly popular in the online world, as many companies have found success. To develop a freemium model from the ground up requires a good understanding of the costs associated with building a large, scalable platform to service a large user base. However, as we have seen with a number of companies in recent memory, the payoff can be extremely lucrative. 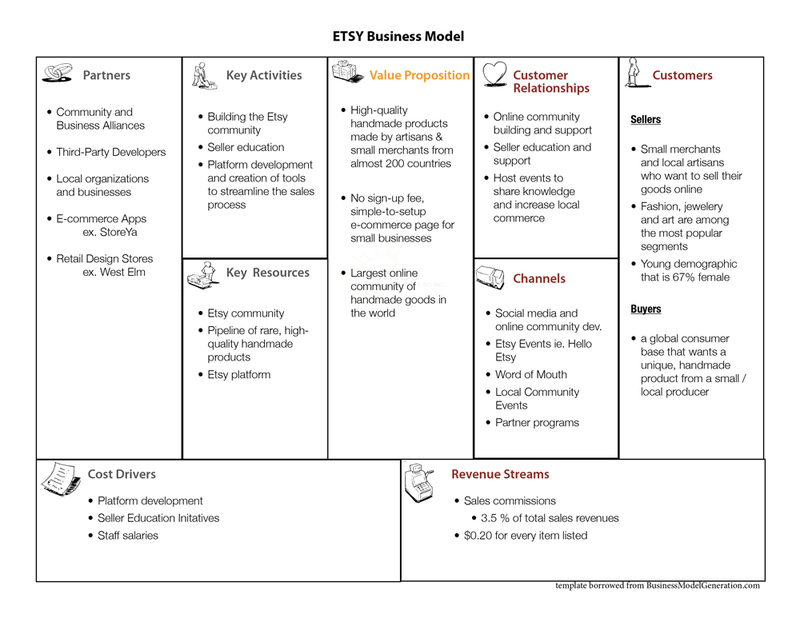 Business Model Breakdown will be a monthly blog series where we break down a great business model into its most elementary components, so that we can see how the company is changing the value paradigm in its respective industry. 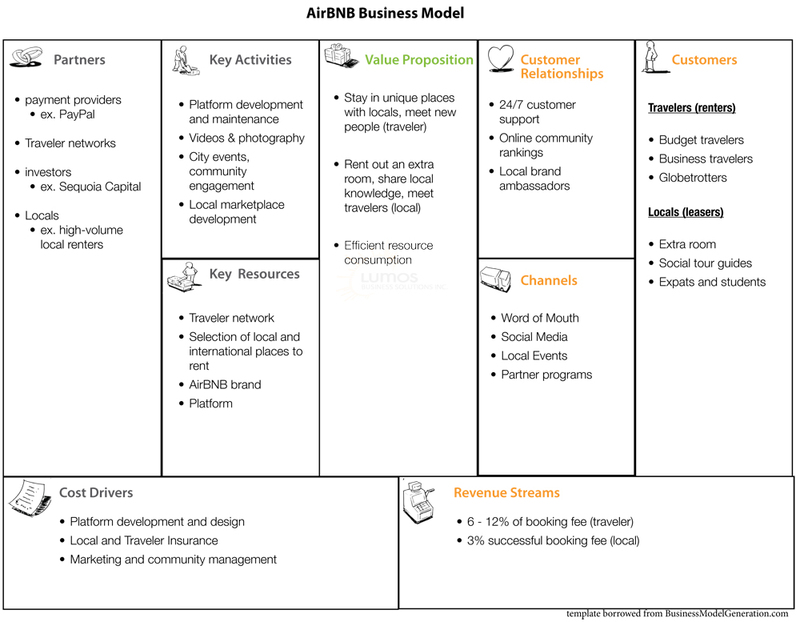 A couple of weeks ago, we took a look at the heart of a business model. Today we will be examining the live, breathing business model of Quirky.com, an American company that has created an online, end-to-end product design shop and made it available to the masses. Quirky.com was conceived in the mind of a young twenty-something named Ben Kaufmann to turn product development into a social sport. The epiphany to start Quirky came when Ben was trying to design a new product for his inaugural business, Mophie (still in existence today), which designed accessories for Apple products. Instead of turning in-house for a new product design, Ben asked the community to submit their own designs and promised to turn the winning design into a store-ready product. The idea worked and Ben not only had a great, new product, but also inspiration for an entirely new way of product development. 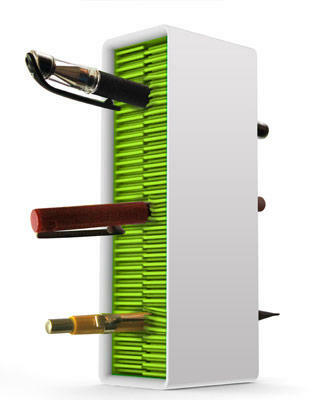 First, individuals (it can be anyone) submit ideas for a new product design. Second, the community (called Influencers) votes on the idea they like the best. Once an idea is selected, Influencers collaborate and begin turning the original idea into a more polished version. To do this, they pick a name, conduct market research, create a tagline for the product and outline the industrial design requirements. Once the product has been sufficiently influenced by the community, the Quirky staff work their magic and get the product store-ready by designing the product and dealing with all the logistics related to manufacturing and sales. Now, to put this process in the context of a business model, let’s look at how Quirky creates, delivers and captures value. Quirky creates value by opening up the entire product development process to the masses. Typically it would be extremely difficult to start a business with only a single product (like the type of product they would sell on Quirky), but now anyone with an idea can turn a drawing-board concept into reality. They deliver value by providing the end-to-end structure for product development, from the original designs right up to the sales channels and retailers. By taking product design to the Internet, Quirky has eroded many barriers for the typical designer. Customers, retailers, and everyone else along the value chain reap the rewards in the form better quality, more efficiently designed products. To capture value, Quirky has monetized many aspects of the design process and built sales channels to create added revenue streams. To actually submit an idea on the Quirky website costs $99.00 US. Quirky turns a new product concept into reality each week, and on average they receive thirty or more idea submissions to be voted on. For every product that gets sold by Quirky, they take 60% of the revenues and give back 40% to the Influencers and the original inventor. To hedge their risks, Quirky only fully develops products that have a certain quota of units pre-sold, as the industrial design process is quite expensive. To ensure that the products are getting sold, Quirky has created an online shop to drive sales. To take it to the next level, they have created international and domestic sales partnerships with retailers and distributors, helping ensure that the Quirky products do reach the masses. The beauty of the situation for Quirky is that they have endless possibilities for further ways to innovate the business model as the community grows, and as demand for Quirky-made products increases (assuming it does). It is a very unique company and one that would be very difficult to copycat given the sophistication and capital infusion required to build something similar. Overall, the simple fact about Quirky is that it is a fun company where creativity shines. It is something that people want to be a part of, as it energizes everyone involved. If you’re thinking your business needs a little more character, call us and we’ll start brainstorming.